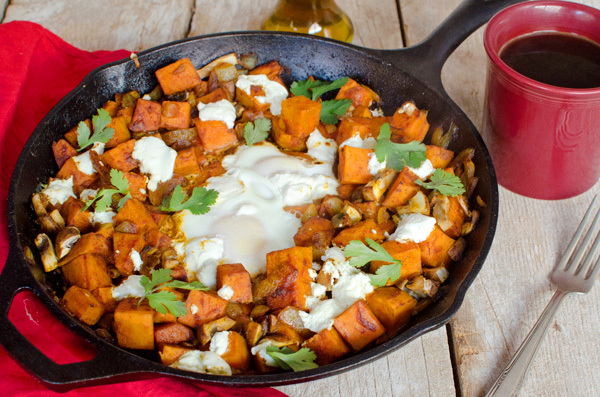 This spicy goat cheese and sweet potato egg skillet recipe is elevated by adding spicy pepperino chili-infused olive oil. A healthy and flavorful recipe! I distinctly remember the first time I tasted real olive oil. I was in Italy in college and it was my first night, in a plaza in Milan. The complexity of the flavors and the, well goodness, of it is something I’ll never forget. I definitely have Italy flashbacks when I have good olive oil. It’s one of those ingredients that is worth spending a few extra dollars on to make sure you get the good stuff. My current obsession is infused olive oils. Currently, we are using a pepperino olive oil – infused with chili pepper, garlic & rosemary. Pat and I have been using it like crazy! I finally had a weekend off after two straight weeks in the hospital and we celebrated by having a lazy morning at home, complete with breakfast. 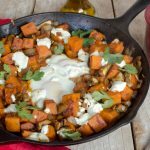 We made this spicy goat cheese and sweet potato egg skillet and elevated it a notch with a splash of Pepperino olive oil. I’ve been using it instead of my normal olive oil whenever I get a chance. It has the perfect amount of heat without that in-your-face sensation that adding hot sauce gives. In a large skillet, heat pepperino olive oil over medium heat. Add onion and cook until translucent, 4-5 minutes. Stir in paprika and turmeric and cook for 30 seconds. Stir in water. Stir in sweet potatoes, cover with a lid and let cook about 4 minutes. Add mushrooms. Cook covered until sweet potatoes are almost tender. Make a small well in the center and crack eggs. Sprinkle goat cheese on top. Cover and cook until egg whites are set. That looks delicious! 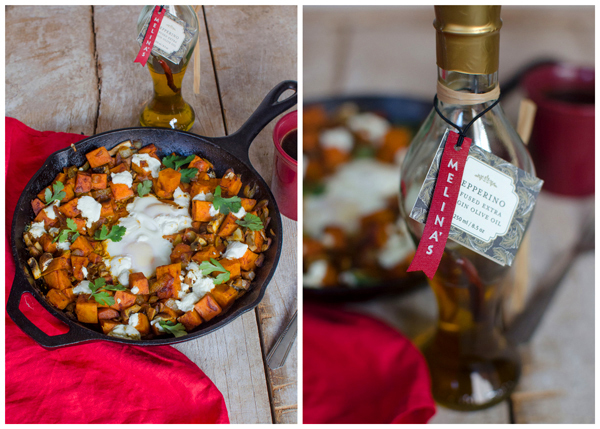 I’d love to try the Green Gold, Balsamic, Pepperino & Kalamata gift set! I would choose the • Green Gold, Pepperino, Oreganato, Aglioli set; I’m not a big fan of kalamata olives. The Green Gold, Balsamic, Pepperino & Kalamata gift set looks awesome! Naturally my mind thought “more is better,” so I would get the 4 piece gift set. I love a good olive oil and I can’t wait to try these. 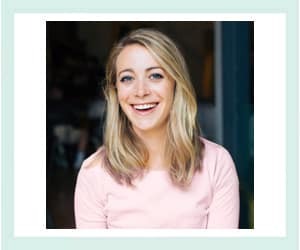 All of them? =) Green Gold/Balsamic/Oreganato/Kalamata would be my pick.